SHADOW MAN – The Sammy Nestico Story is a feature-length documentary film that explores the music, art, humanity, impact, and life of Sammy Nestico. It’s a story we think needs to be told and also preserved. 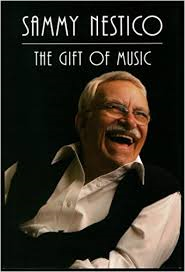 Over the past century, Sammy Nestico has been a giant contributor to the world of music – a true maestro – as a composer, orchestrator, writer, and arranger across the genres of classical, jazz, and big band sounds….His greatest musical love has been working with youngsters and students pursuing their dream. He loves being an educator and mentor. His impact in this area is virtually unmatched. Sammy recently turned 94 years young. His most recent Grammy nomination came only a year ago, at the age of 93. For over 70 years, he has plied his craft selflessly, and always with a smile. Sammy Nestico has had a transcendent life and this film tells that story. But it is also about the American Dream in the post-Depression era. And it is very much about personal humility, and “paying it forward”. With your help, the story will be told and heard; the music will be preserved; and the man who made it … will live forever.